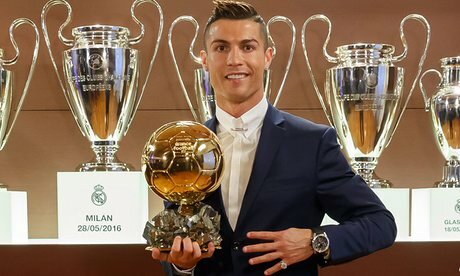 Portuguese Real Madrid ace, Cristiano Ronaldo wins the prestigious Ballon d'Or for the fourth time on Monday night... As expected - after helping his country Portugal to win the EURO 2016 tournament and Real Madrid win the UEFA Champions League in May, breaking and setting landmark records on the pitch, yeah, he won it as I expected. He had previously won the FIFA Ballon d'Or in 2008, 2013 and 2014. Other nominated players who are not on this list reportedly have no votes, sheesh!!! Can I simply say what a relief to uncover someone who actually knows what they're talking about on the net. and make it important. A lot more people should read this and understand this side of the story. I was surprised you are not more popular given that you surely have the gift.